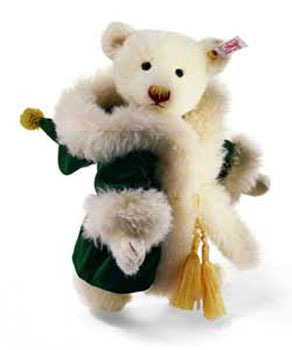 Steiff Christmas Musical Bear Discounts Apply ! This musical Christmas bear by Steiff plays the ever-popular and much-loved carol "We wish you a merry Christmas".He can remove his outfit after the festivities are over! limited to 2006 pieces worldwide.